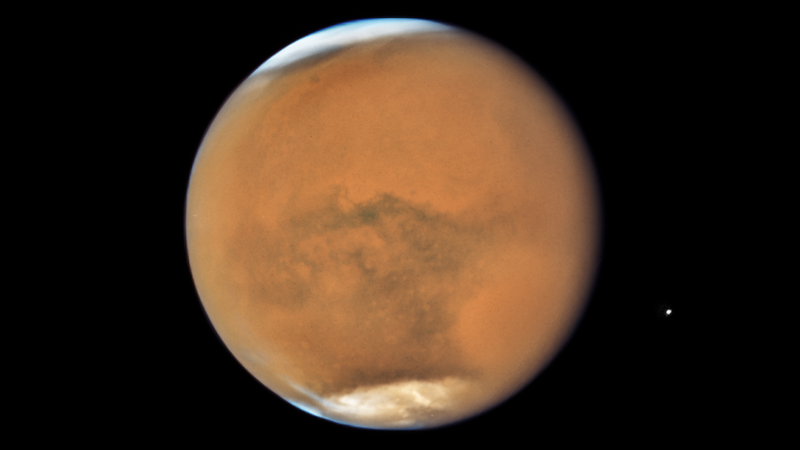 Mars, as imaged by Hubble on July 18. Its moon Phobos is on the right. Mars is in opposition tonight, meaning it’s about as close and as bright as it’s going to get. To celebrate, Hubble has released new images of the dusty red planet, as well as of Saturn, which was in opposition last month. Saturn was in opposition on June 27, allowing Hubble to capture this image. If you’ve got a pair of binoculars or a telescope, you might want to look at Mars tonight (once you’ve finished looking at today’s lunar eclipse, if you’re in a place that can see it). 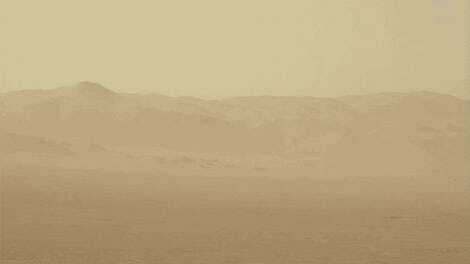 Mars rises at 8:38 p.m. ET (5:38 p.m. PT) and sets Saturday at 5:29 a.m. ET (2:29 a.m. PT). Also, Jupiter and Saturn will still be shining brightly—Saturn was in opposition just last month.